By donating your vehicle, you will support Lubavitch and benefit from a tax deduction at the same time. We will pick up your vehicle at no cost. For more information, please contact us at 317-251-5573, or info@lubavitchindiana.com. 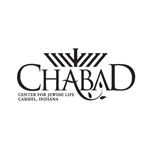 Lubavitch of Indiana is a registered not-for-profit organization under IRS code 501c3. All donations are tax deductible. Tax ID: 31-1021949.